This ain't no snake oil. It really is a cure-all. What is it about ice cream? We eat it to celebrate, like birthdays. Ice cream is rewarded after events like a good report card or winning a soccer gamer. Or even losing a soccer game but you tried really, really hard. Ice cream makes us feel younger. C’mon, think about it. Don’t you feel about 5 years younger when you’re walking around with a drippy chocolate cone on a hot summer night? Ice cream makes us less self- conscious. It is perfectly acceptable to have ice cream on your face or running down your arm. It is less acceptable to have soup all over your face or running down your arm. Ice cream cures everything; from sore throats to sore tummies to broken hearts. Ice cream cools us off, figuratively and literally. Everyone likes ice cream. I know this for a fact because I asked, well, everyone. So what is it about ice cream that makes it so magical that it can be so many things to so many people. I love ice cream. I have loved ice cream forever. My very first job was at Baskin Robbins when I was 14 years old. I worked at a second ice cream parlour, Greg’s, when I was 20. You would think that after eating so much ice cream, day after day, I would get sick of it. But I didn’t. Ever. 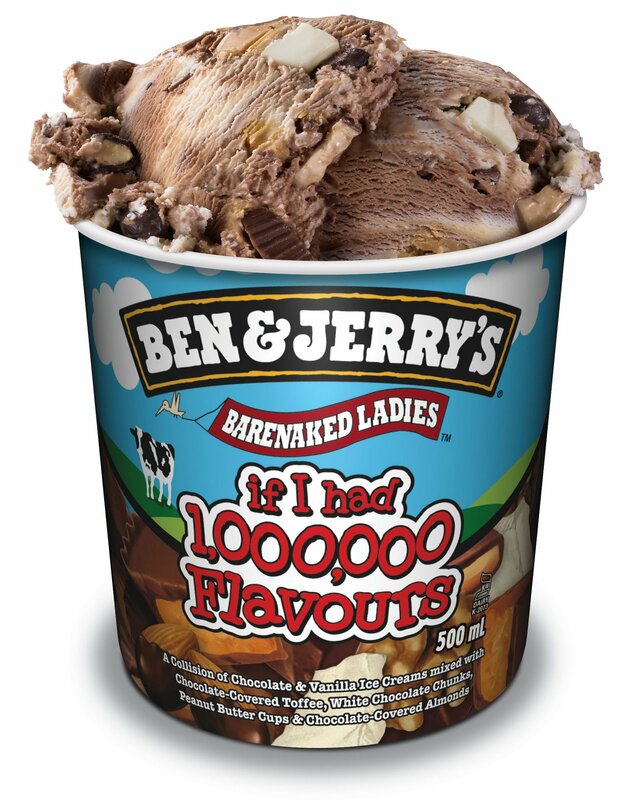 I was thinking about this last night as my son and two nieces finished off the last of my Ben and Jerry’s If I had a million Flavours . I had bought this ice cream a few nights before to console myself after having a really bad day. 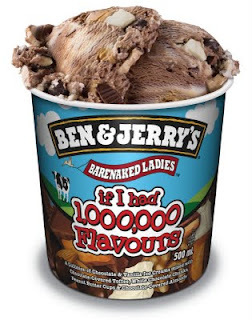 The next day I ate a bit more of my ice cream because I had a Stuart Smally moment and told myself that “I’m good enough, I’m smart enough and dog-gone it, people like me.” That, and I was home alone and no one saw me eating ice cream for no good reason. Last night, I was planning on eating my ice cream as a reward for finishing my final set of report cards for the year and giving myself a proverbial chocolaty, creamy, cool pat of the back. But I couldn’t because those kids stole it. My son ate it because he had just returned from a 3-day school trip and I really, really missed him and would have done anything for him at that point. My niece, Hope, ate it because she had been outside all day and was dehydrated and felt sick and the ice cream was the only thing she would eat. My niece, Kate ate it because…well, she’s two-and-a-half and she likes ice cream. I was so upset that they had finished my ice cream that I spent the good part of an hour trying to think of a chore that would require me to leave the house and while I’m out, I might as well pick up some more ice cream. My husband picked up my daughter from her friend’s house on his way home from work; that took care of my best excuse. And then Mother Nature released her wrath in the form of the craziest spring storm ever which prevented me from leaving the house at all. Clearly I was being sent a sign to let the ice cream thing go for the night. So I did. And instead, I made a decision that even without the ice cream, I still did a really good job on my report cards and don’t need Ben or Jerry to back me up. Instead, I did the other thing that I do when I’m sad or stressed or happy or to celebrate or just because. I cooked. This is what I made. And this is what you should make when it is really, really hot outside and you want to make something, quick, yummy, healthy, easy, and most of all, makes you look like a rockin’ Martha Stewart. 1. Make your crispy bacon: I do this in the oven so I don't have to babysit it while getting everything else ready. If you don't know how to make bacon in the oven, contact me; we have to talk. Use real, good quality bacon. Its SO worth it. 2. While the bacon is cooking, do the lettuce & make the dressing: chop one head of romaine lettuce in bite-sized pieces and put onto a big (and I mean big) plate or shallow bowl. Make sure the lettuce is very dry. Put in the fridge to keep cold until you are ready to assemble. 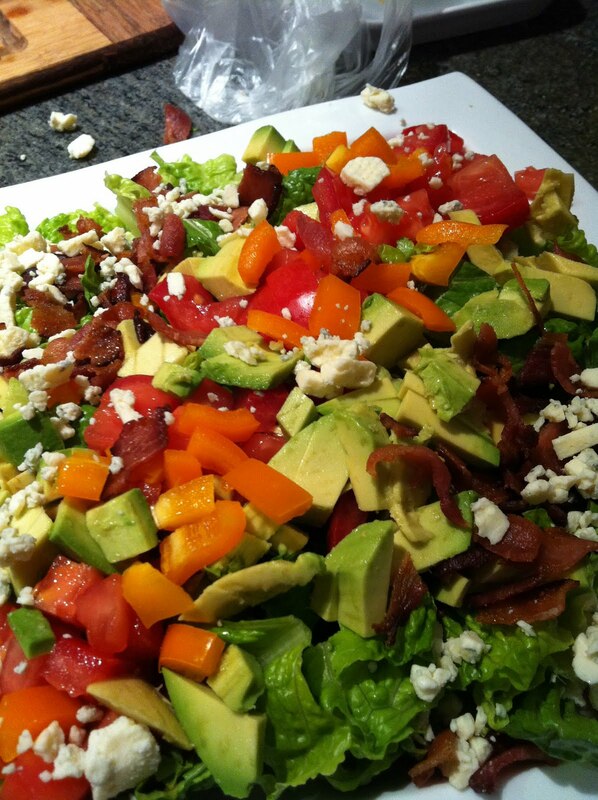 One of the great things about this dish is the contrast in temperatures: cold lettuce room temperature tomatoes and avocado and warm bacon crumbles. 3. Make the dressing: mix together the following: 1/3 cup low fat mayo, 1/3 cup skim milk, 2 tbps white wine vinegar, tbsp dijon mustard, 1/4 cup crumbled blue cheese dressing. Add s & p to taste. 4. While waiting for the oven-baked bacon to cool, slice & dice one large tomato and avocado and crumble 1/4 cup blue cheese. 5. Chop the bacon into pieces a little smaller than the tomatoes. 6. Assemble the salad so it looks pretty. See above for suggestions. That's it! Now go make that salad!